Nissan North America and The National Auto Sport Association (NASA) are pleased to announce the creation of an all-new Spec Z series that will feature the Nissan 350Z®. The NASA Spec Z class will include all trim levels of the 2003-2008 year model Nissan 350Z in a single classification focused on close competition, parity and cost containment that will showcase driving ability and car setup skills. NASA Spec Z will offer a comprehensive contingency prize program that will reward both Regional and National Championship competitors. Nissan Motorsports will provide significant support for the series, and their contingency prize program provides cash rewards up to $850 for the top three finishers at each regional competition weekend. 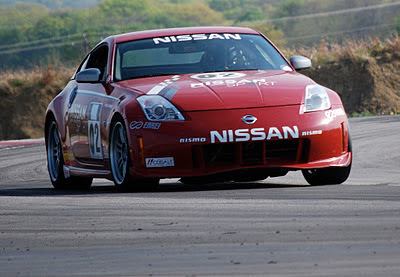 Additionally, Nissan Motorsports will provide $6,500 in cash support to the top Spec Z finishers at the 2012 NASA Championships. BFGoodrich tires will be the control tire for the Spec Z class, and BFG has also created a generous contingency prize program for the series. More contingency prize programs for the Spec Z class are being finalized for the series and will be announced shortly. For details on the newly-announced contingency programs for the Spec Z series, please visit http://www.nasaproracing.com/contingency.